Who Will Help the Animal Survivors of Devastation in Japan? Among the thousands of traumatized survivors of the natural disasters that struck Japan last week are countless numbers of pets and wild animals. A host of international humanitarian organizations are mobilizing efforts to help deliver food, shelter and medical attention to the human victims of the events. But the animal population also needs help to avoid unnecessary death and suffering. The plight of animals left homeless and injured by the disasters is brought to light in a video distributed widely on the Internet via Jezebel.com and Yahoo! News. 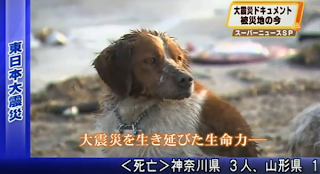 The stark imagery and commentary in Japanese, which is translated into English in text beneath the clip, captures heartbreaking suffering, as well as the inspiring courage of one dog protecting another that’s been injured. Residents of South Boston want to know what they can do to help. In partnership with other businesses and animal lovers in the community, the Joyce Lebedew Real Estate team has launched a drive to provide assistance to animal victims of the disasters in Japan. The group has set up an account for donations at Mount Washington Bank. In addition, JLRE is offering storage and shipping for relief supplies such as food and bedding, and has pledged to donate 1% of its total commissions from April to the cause. For more information about how you can help, call 617.269.6400. South Boston may appear on the map as a single location. But if you zoom in a little closer, you will discover distinct differences between the various neighborhoods and sections of town. If you are contemplating a move to South Boston, it’s good to be aware of these differences, as well as the diversity that characterizes South Boston as a whole. 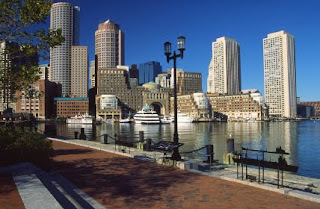 There are parts of South Boston within easy walking distance of downtown. Other sections further out on the triangular peninsula are in close proximity to sandy beaches. Residents of the two areas see entirely different backdrops, each stunning in its own way. The cityside panorama to the west offers views of Back Bay, the Seaport District, and the Financial District; the water-view to the east encompasses the vast expanse of Boston Harbor and the ocean beyond. These contrasting views of the city are emblematic of the many differences that distinguish other aspects of life in South Boston. On one hand, there’s the old South Boston, steeped in the culture and values of the working class; on the other, the more worldly perspectives of well-to-do newcomers. There are the proud descendents of Irish immigrants, and the influx of people representing a wide range of other nationalities, ethnic backgrounds and lifestyles. South Boston isn’t a single entity. It’s a collection of distinctive neighborhoods, each with a character all its own. There’s City Point, with its upscale residences and soaring property values; then there’s the South Boston Waterfront district with its shiny new edifices and fine amenities. There’s the up-and-coming West End with its dense vitality and historic architecture; then there’s Fort Point Channel with its stylish lofts and art galleries. Despite its many contrasts, South Boston is unified in one respect. The people who call it home haven’t arrived there by chance. They’ve either lived there all their lives or chosen to make it their home. As a result, South Boston is characterized by strong communities. It’s a place where residents pull together in times of need, for example, to help others displaced by a four-alarm fire or utility outage. It’s an area where you still find neighbors who look out for one another, take genuine pride in their neighborhoods and work together to make improvements. The South Boston that real estate agent and entrepreneur Joyce Lebedew now calls home is a world apart from the South Boston where she grew up. While the community of 30,000 retains much of its character as a tight-knit enclave of working-class Irish-Americans, the population is now more diverse, and the ambiance of the neighborhoods is far more upscale and cosmopolitan. Joyce has seen it all, from the urban decay and anti-busing riots of the 1970s, to the construction of the new Boston Convention & Exhibition center and ascendance of the South Boston Waterfront as a beacon of commerce and culture. A successful business owner and life-long resident, Joyce is a fervent evangelist for South Boston and a tireless proponent of its renaissance. But Joyce is equally passionate about the rights of urban animals and pet-owners. An unabashed dog lover and the proud owner of a Jack Russell Terrier, she has long been an active supporter of the Alliance for Animals and other animal rescue associations in the area. When she began selling real estate in 2002, Joyce became keenly aware of the plight of pet-owners in finding suitable housing. In 2008, when she launched Joyce Lebedew Real Estate (JLRE), she decided to make pet-friendly housing a cornerstone of her business. Her exclusive focus on buying, selling and leasing of pet-friendly residential properties in South Boston has proven a winning combination for Joyce. JLRE has become one of the most successful independent real estate agencies in Boston, and according to MLS, Joyce has consistently ranked as the top-performing real estate agent in the city of Boston for apartment rentals and among the top for property sales as well.